Wouldn&apos;t be cool to have in the #Fediverse the concept of #planets (KDE Planet, Libreoffice Planet etc)? I.e. follow a collective of #ActivityPub actors being able to comment their articles (on #Plume, #WriteAs, #WordPress + #Pterotype) with notes as replies (what already happens on #Mastodon). This should make us able to discover new actors to follow. Of course the registration of actors must be approved like on planets by the corresponding community. Interesting, so a planet is a collection of actors who post about similar topics? @jdormit yes, in KDE we have a list of RSS feeds from our blogs and a site (planet.kde.org) that turn them into a blog. My idea was a bot that post on ActivityPub the links from an RSS feed like the one from Planet KDE and if the link is found to be an actual AP article, AP-reshare that article instead of just posting a link, to promote AP-compatible blogs. @jdormit that would be awesome, especially if the blog actor reshares articles from each author instead of mirroring them, because on social like Mastodon we would be able to easily open the author profile. This is how I find new people to follow on Mastodon: someone I follow boosts a toot from someone else and I see it on my home and if I&apos;m interested I follow the original author. The other advantage would be to have comments as replies to the same toot/article. @bob thank you but it&apos;s not what I meant, I want an ActivityPub actor that I can follow with any AP platform and view on any client. This actor basically just reshares every post from a list of actors, maybe only posts with a certain tag. 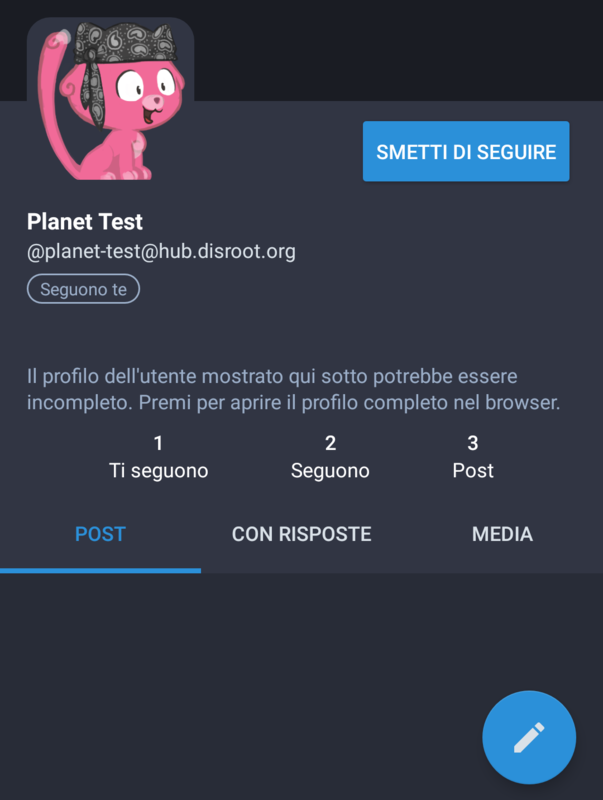 Ideally blogs that publish their articles with ActivityPub on an existing planet like Planet KDE would see every article with a tag of their choice (like #planetkde) reshared by this planet-actor and replies becomes comments on their blogs. @alexl what I suggested is exactly what you want. @bob I&apos;m using Mastodon+Tusky, can you please link me an actor I can follow to test this? @bob I have an account on Hubzilla too, can you please tell me what&apos;s the right option in "create new channel" page? @alexl It would be more usefull if you create such actor yourself. Since you're involved in KDE, you could create the KDE channel. First, you should select the "public feed" type for this channel. Then you install the "source" add-on. @alexl what is your hub? If it's public, I could create an account and check the available apps. @bob actually the problem is that federation back via AP doesn&apos;t seem to work, no toots from the planet. Any suggestion? @alexl It's strange. 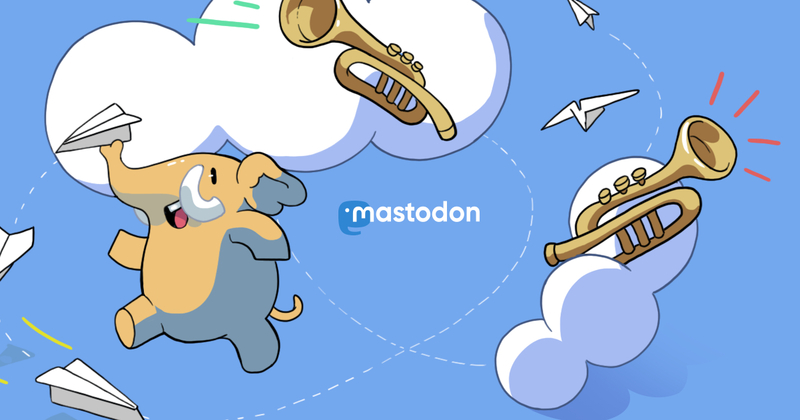 Maybe a bug in #mastodon. Worth opening an issue for investigation I guess. @bob I don&apos;t think it&apos;s a Mastodon bug, it&apos;s the same for Pleroma. It seems to me that Hubzilla doesn&apos;t federate reshare actions via ActivityPub. Also, if I set channel source app to publish posts as planet-test they don&apos;t appear.